BERLIN -- Austria's government said Friday that a retired colonel in the country's military is suspected of having spied for Russia for decades, a claim swiftly dismissed by Moscow. The 70-year-old man from Salzburg, who wasn't named, allegedly provided a Russian intelligence agency with information about Austria's military and political situation, officials said. Kurz said the Russian charge d'affaires in Vienna was summoned to the foreign ministry. "At the moment we're demanding transparent information from the Russian side," he added. In Moscow, Russian Foreign Minister Sergey Lavrov accused Austria of "microphone diplomacy" for making what he called "public accusations and demanding an explanation over an issue we know nothing about." Austria's Defence Minister Mario Kunasek said Vienna was warned several weeks ago by a friendly European intelligence agency about the suspected spy. Kunasek said the colonel in question retired five years ago. 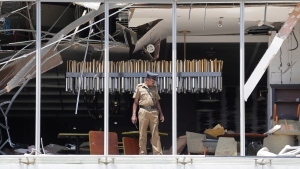 He said the man, whose electronic devices, including a laptop, were being examined, had told investigators that his handlers were interested in weapons systems, recent migration to Austria and information about Austrian personalities. Salzburg prosecutors, who are handling the case, declined to say whether the man is in custody. "Whether this was an isolated case can't be said at the moment," said Kunasek. Kurz, the Austrian chancellor, said that based on the information available so far "we can indeed assume at the moment that the suspicion (against the colonel) will be confirmed." He added that Austria's foreign minister, Karin Kneissl, has cancelled a planned trip to Russia. 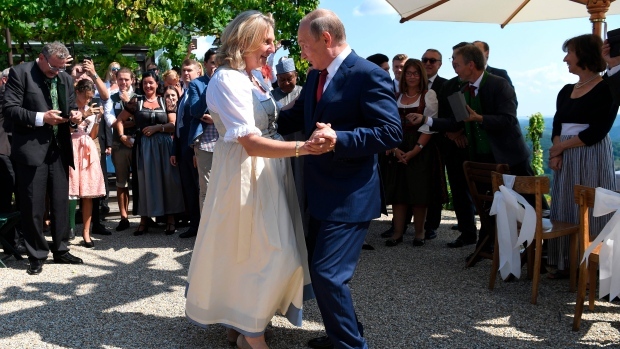 Kneissl was criticized by Austria's opposition for inviting Russian President Vladimir Putin to her wedding in August.